We’re all now back into the swing of things, and hopefully in a good frame of mind, motivated and positive about what 2017 has to offer. 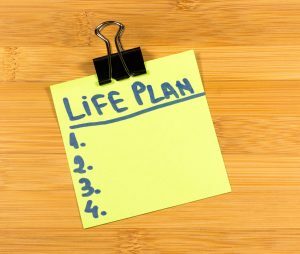 Do you have a “Life Plan”? Some of you will be staunch “resolution-makers” and planners – others a little less so! – but does this extend beyond your business plan to your own personal finances and longer-term “life plan”? You can achieve a real sense of satisfaction by taking control of one of the most important aspects of yours and your family’s life, namely your financial planning. Choosing to work with a financial planner to establish a medium to long term plan that is tailored to your own personal situation can definitely make you feel “grown up”. Even though you may be in your 40’s or 50’s, and have had a mortgage, pension and cash ISA savings for many years, does this constitute a financial plan ? Taking a step back and assessing your broader financial picture, then taking decisions and greater control of your financial future, can feel properly “grown up”. This is not to imply that if you haven’t got a financial plan then you are frivolous with your money, not at all! But it can be hard to know where to start, and the world of financial services can seem daunting, even overwhelming, and definitely full of jargon. This is where the advice of a good Financial Planner is key, to help you make sense of it, to understand your future goals and aspirations as well as your current situation, and to help you prioritise what’s important. 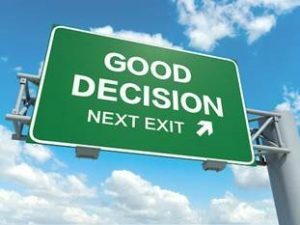 A great start point might be making time to review your plan for retirement…..wouldn’t it be great to choose whether to work or not by the time you reach 60? Or to have the financial security in place to reduce your hours, spend more time doing charity work etc. All this can be possible with the right plan. Understanding what pension plans you already have in place and what income they may give you in future is the first step. Comparing that to the income you need, or want, to maintain your lifestyle is the second….and taking action to “plug the gap” if there is one, is the third ! So don’t put your head in the sand this year about your pensions. Resolve to start planning maturely for your financial future, rather than leaving it to chance, and make 2017 the year for “grown up” decisions!